The Sendinggestig opened in 1977, situated in an old mission church which still functions for ceremonial purposes though lost its congregation – which mainly comprised poorer black and coloured people – when the terms of the Group Areas Act were applied to inner city spaces. The museum is colloquially referred to as the ‘Slave Church’, reflecting the presence of enslaved people in its original congregation founded in 1804. It is one of 28 museums affiliated with the Western Cape Provincial Government’s Museum Service. As well as providing funding, the Museum Service offers technical support in developing exhibitions. The Sendinggestig was originally conceived as a mission museum, and updated displays installed by the Museum Service in 2011 reflect this focus. 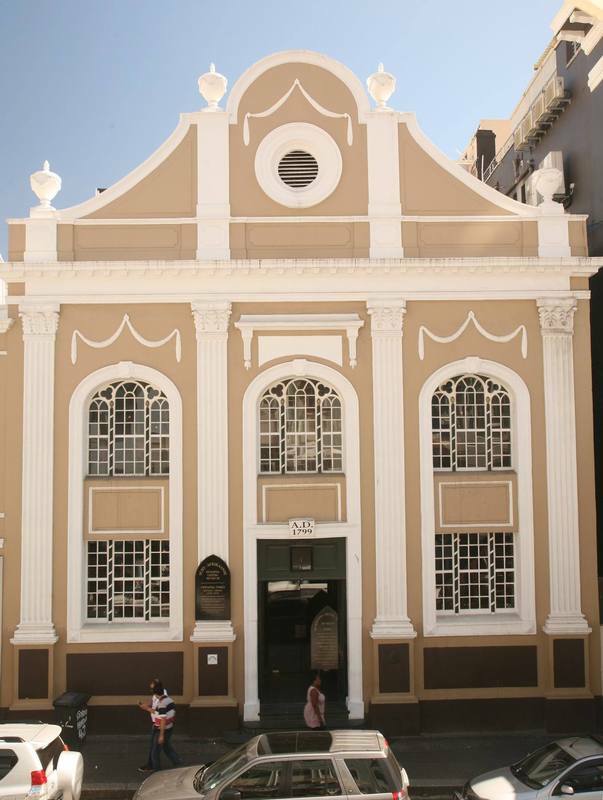 The displays installed in 2011 move beyond Eurocentric interpretations of history to offer a more inclusive history of mission activity and religious freedoms in the Cape Town area. Reference, for example, is made to the connections between slavery and the development of Islam in South Africa. In offering the building space to outside groups and performers, the museum also works to provide opportunities for alternative interpretation. This includes groups who identify with enslaved and Khoisan people as ancestors, and seek to reimagine their lives through song, poetry, and dance. A regular series of public events are held and attract sizeable audiences, whilst 1 December Emancipation Day is marked annually.